For a few years in a row, I attended Mill Street’s annual Robbie Burns’ Supper, which Manning always hosted. In 2013 I was lucky enough to actually get seated next to Manning. He hosted the evening as he had in previous years, with a sort of determined reluctance. It is difficult to describe exactly, but in my interactions with him he always seemed infinitely more comfortable brewing beer or talking about brewing beer than he did hosting these sorts of events, yet it was also always abundantly clear to me that he was fully committed to the importance of hosting these things properly. At that dinner in 2013, I recall Manning mistakenly gave the notes for the beers on hand out of order. While we nosed his caramel-flavoured, mahogany-hued Scotch Ale, he gave us tasting notes for a sweeter, lighter, “Tartan Ale” that was next up in the order. No one in the room aside from me noticed that his notes didn’t actually match what we were tasting. When he returned to his seat beside me, I let him know. He was irritated at himself, but he liked that I told him. I then suggested that people didn’t really seem to be listening and I suggested he next take the mic with a bottle of absinthe in hand and offer tasting notes for Mill Street Organic to see if anyone noticed. He did not like that. Manning was a member of the American Society of Brewing Chemists, the Institute of Brewing & Distilling in the UK, and he served as Vice President, Technical Committee Chair, Chair of the Education Committee, and President of the Master Brewers Association of Canada. He was also once the president of the Ontario Craft Brewers. The last news I heard of Manning was a few months ago, when I heard he had opted to take up home brewing for the very first time. It would not be an exaggeration to suggest that Joel Manning is personally responsible for introducing many Canadians to craft beer. The beers he made early in his career won myriad awards and Mill Street changed the industry landscape. He most certainly created the recipe for many beers that served as people’s first introduction to beer that could be interesting and flavourful. As the frequent host of tours and tastings at Mill Street’s Brew Pub and as a teacher and consultant, he quite literally put many people’s first pint of craft beer into their hands. And if you ever took one of these tours — indeed, if you ever spoke to Manning just once — you probably walked away with an understanding that this was a man who wanted to make consistent and well-made beer and that he wanted to get that beer into as many people’s hands as possible. Joel Manning was probably not what anyone would call a beer geek, but he was insanely, single-mindedly dedicated to the work of brewing beer and he was a man who quite simply respected brewing. 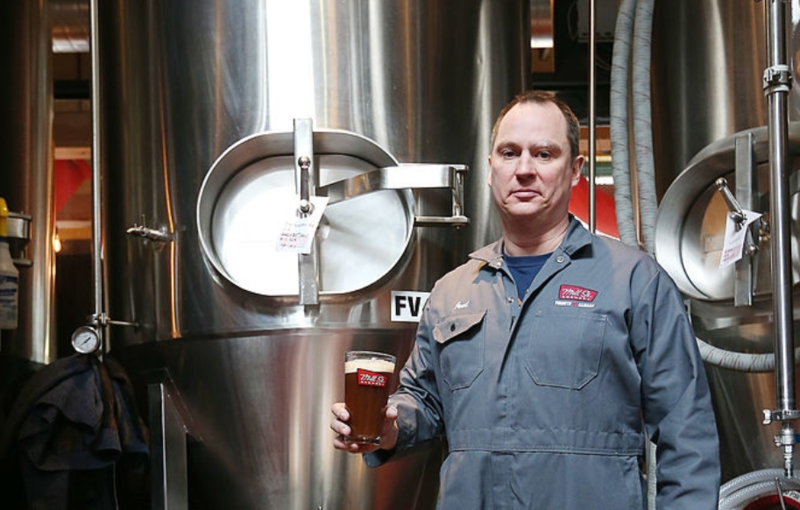 In an interview from 2014, Manning — after 28 years in the industry — noted that there were a few styles of beer he had yet to try brewing because he didn’t feel he had enough knowledge of the style to do them credit. Without a hint of irony, he noted he hadn’t tried to make certain beers yet because he would never want to “disrespect the style. Manning is remembered by his wife, Lisa, and their two sons. He was just 52 years old. I worked with Joel 33 years ago. Damn that’s horrible. I just had a couple of beers with Joel in early March. First time I had seen him one-on-one in ages. Mr. Manning was interviewed in the early 90’s TV Ontario 3 part series titled ” Homebrew “, with Charlie Papazian. You could tell he was passionate about beer back then. Sad to hear about his death at such an early age. Thank you Ben. That’s a great story; one of many I’m sure we’ll be hearing from people who knew him. The stuff of legend! I was there that night. Just reviewing my videos of the “Ode to a Haggis.” Sadly none with Joel. It’s true the crowd was quite “distracted” but I’m sure it was a night that most remember. Joel always put a tremendous amount of effort into hosting the brewmasters dinners. We attended as often as we could. Thanks Ben. Great story. I am happy you enjoyed the coveted spot of beside Joel at the brewpub. My fondest memories with Joel were those brewmaster dinners, they were always impressive and unique to Mill St. His passion for his craft shone through at these events, and his likeability drove regulars to come back time and time again. Thank you Ben.That’s an impressive story. Joel was an important part of my brewing career in Canada. A great friend, mentor and dedicated Brewer. It’s an unforgettable journey. Thank mate for sharing your story. Looking forward to build my own success story just like you.